In a time when the church had lost sight of the fundamentals of the gospel, God used a humble monk named Martin Luther to bring about the greatest revival in church history. When he posted his Ninety-Five Theses, Luther became the unwitting catalyst of the Reformation and a champion of the doctrine of justification by faith alone. 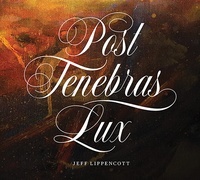 Post Tenebras Lux, commissioned by Ligonier Ministries and composed by Jeff Lippencott, takes the listener on a musical journey of the highlights of Martin Luther’s life. Written in three movements, this piece moves from the coldness of the Middle Ages and the dominance of the Roman Catholic Church to the glory of Luther’s rediscovery of the gospel and the spread of the Reformation throughout Europe. This symphonic work celebrates the five-hundredth anniversary of the Reformation, and Ligonier Ministries presents it with the hopes that God would use it to encourage listeners that even in the midst of darkness, the light has come.